The Diocese of Eldoret has a strategic plan that gives priority to mission as the heartbeat of the diocese. It is for this reason that the Diocese has employed a full time Diocesan Missions Coordinator the Rev. 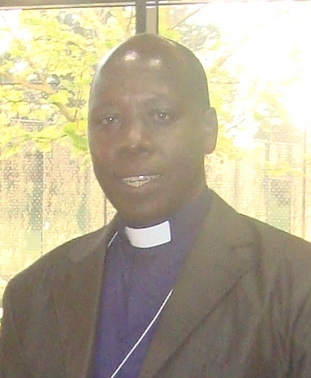 Wilson Lagat, who works under the Diocesan Board of Mission and whose responsibility is to manage the activities of the departments under him. The coordinator is also charged with the responsibility of doing actual mission work within the diocese, networking and international partnerships. Also there are various Diocesan Committees that fall under the Board of Mission: Evangelism Committee and Diocesan Missionary Areas. The Board of Mission seeks to mobilize and build the capacity of the youth, KAMA, Mothers Union and Sunday school teachers. Young mothers and parents in general are significant people targeted in mission because they positively influence children at home. This is the reason why KAMA and Mothers Union are significant for the development of Children Ministry. The two departments are mentors of the youth and the children. Sunday school is important for we are assured of the church today and tomorrow. Mission nurtures children who will in turn enhance ministry to other children and neighbours. For us to realize our full potential as a diocese there is need to support inter-parish or inter-deanery and inter-archdeaconry mission partnerships and exchange programmes that enhances the sharing of the best mission practices and encourages continuous training for our clergy, evangelists and lay readers. The diocesan Mission Department through various committees has facilitated a good number of conferences and leadership workshops and retreats aimed at mobilizing and empowering the church leaders for effective ministry and spiritual growth.